Photo courtesy of Journals Unlimited. I have to confess to not being much of a dear diary sort of a man. I know that we live in an age where it is fashionable to dazzle the world with what you had for breakfast on one of the dozens of social media sites, and that every passing thought should instantly be fired into the realms of cyberspace. Perhaps because my breakfasts are so monotonous and my thoughts so few, I prefer not to inflict them on others. I make one important exception to this rule, however. 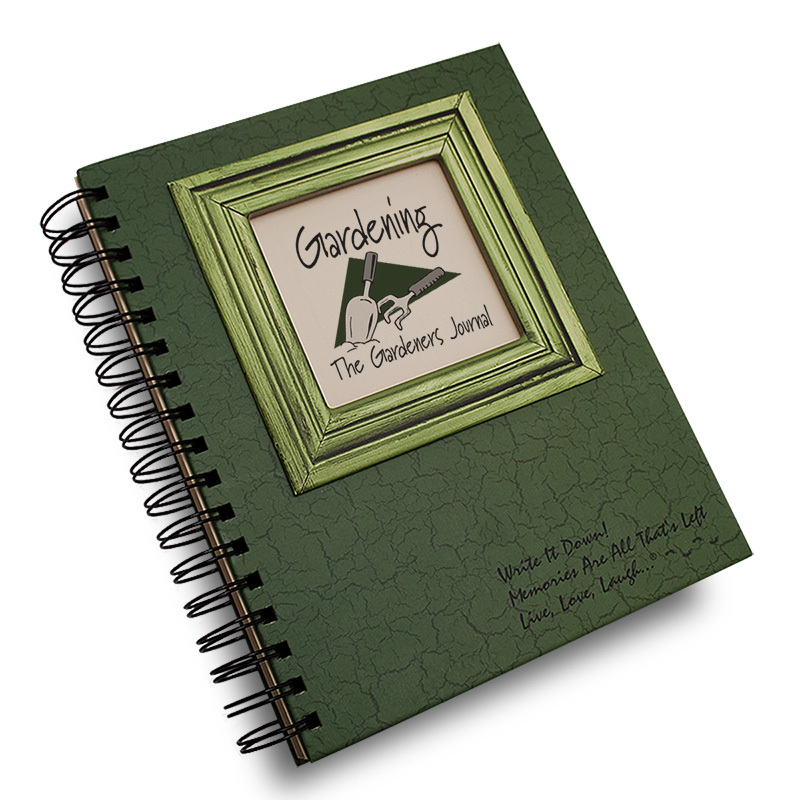 A garden diary is a wonderful window into the past that enables you to see what plants performed well and which chores you did at this time in years gone by and should, perhaps, be repeated today. It can also be an incredibly useful reminder as to where various bulbs and seeds were planted. I recently spent half an hour pulling up weed seedlings in a bald patch in one of my beds. It eventually dawned on me that all these weeds bore an uncanny resemblance to one another and that none were weeds with which I am familiar. I was able to look back in my diary to a note, highlighted in bright day yellow, informing me that I had sprinkled seed there some time before. An important factor in diary-keeping is to refer back to it frequently enough to avoid moronic mistakes of that nature. I also take useful but entirely unscientific notes of the weather conditions each morning, and by skimming back over previous years I am able to generate an approximate idea of what conditions are likely to prevail. With the weather patterns as unpredictable as they are at the moment, I am not sure that this still applies, but I don’t like to break the habit of a lifetime. Recently, I worked with a young gardener who had one of those high-tech smart phones on which he stored all the information that I write in my cheap notebook. Not only could he keep all the notes I do, he was also able to take photographs and even make small videos. He delighted in demonstrating his dexterity with this modern gadget, little realizing how difficult I am to impress in matters of technology. All the while, I was wondering how proficient this youngster would be at sharpening a pencil with a pruning knife. I was quick to point out the risks of losing the preciously recorded information should he break the phone or drop it into the toilet. A very real possibility, I know, as I have come home on more than one occasion to find my wife desperately drying her phone with a hair dryer. I may not be very technical, but even I know those things don’t have hair. I was so keen to show off how reliable my stone-age technology was that I may have neglected to mention the time in 2009 when a mouse in my workshop chewed the months of November through through February into confetti. Undeterred by my arguments, I was told that he keeps his data stored on a cloud. He really expects me to believe that things have advanced to the point where information can be kept all the way up in the troposphere? I might be a technophobic old dinosaur, but just how gullible does this kid think I am. This entry was posted in Garden, Uncategorized and tagged diary, garden, garden calendar, gardener, gardening, Horticulture, journal, Mike Alexander. Bookmark the permalink.